If you are wanting something more from your stewardship program at your church or organization and no longer want to just give "band-aid" fixes to your members, then IT'S TIME TO REALIGN! It's leaders like you who can change the trajectory of other people's financial stories. No matter what your story is, you can be a part of the restoration of others. There are two easy ways to launch a class. The first is to purchase the STARTER KIT. When you purchase a STARTER KIT, you will receive 10 Participant Kits and One Free Class Leader Kit. The second way is by purchasing a Starter Kit which includes one Leader's Kit and one Member's Kit. 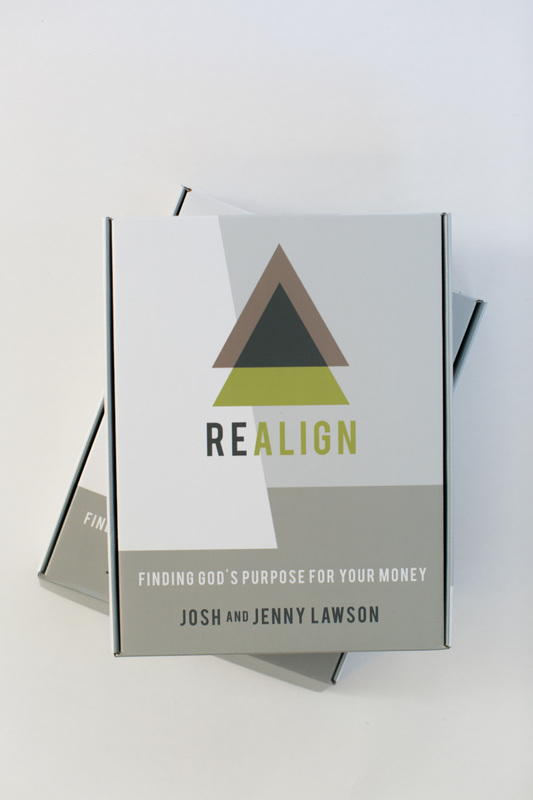 REALIGN is more than your ordinary financial class centered around wealth building and paying off debt. It addresses life and money from the inside out and deals with the whole person, not simply their finances. As a community leader, you have probably met with countless people who are in a tough place financially. But you have also realized that there is more going on "behind the scenes" that needs to be restored also. That is what Realign is all about. Yes, we help people get on a budget and make a plan to get out of debt, but we also teach them how to believe God's truth about money, how to choose contentment, and how to keep God at the foundation of their lives. The power of this class is found in the fact that God is brought into every decision a person makes. The goal of this class is that every single person begins to walk at least one step closer with God by allowing Him into their financial decisions and choosing to live for His purposes (Matthew 6:33). 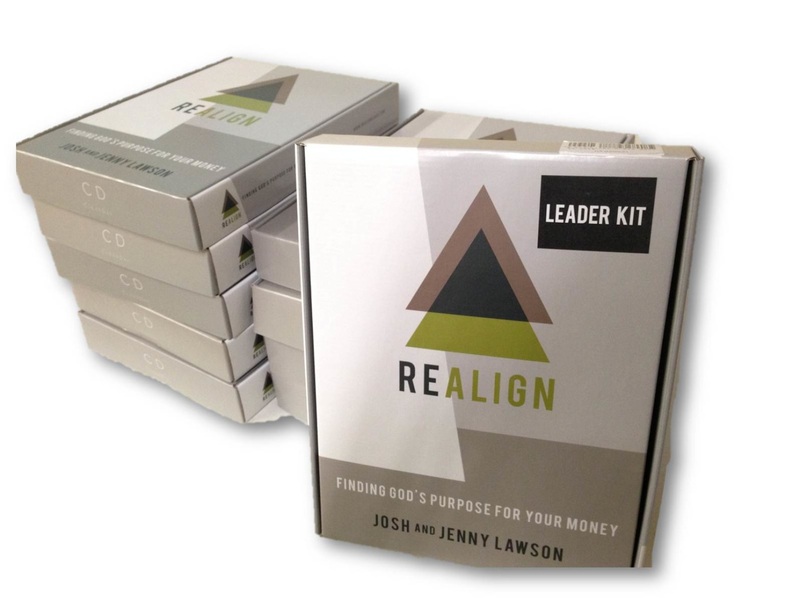 After years of teaching Realign, we have realized that by using this "inside-out" approach, more people are becoming financially free for the long-haul. Our class graduates are living with more peace and purpose in their financial lives and relationships with others. You don't have to be perfect, but we do ask that you have passion, energy, and the right heart. We have done our best to make this class as simple and easy to facilitate as possible. You don't have to have a masters degree in finance or be a professional public speaker to lead this class. Your job will be to motivate a group of people to: start the class, be open during discussions, and implement what they hear during the teachings. If you think that you can do that, then you can be a Class Leader. 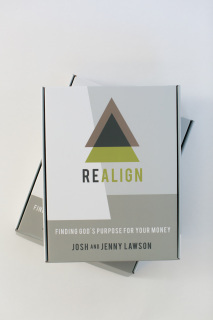 If you are interested in learning more about launching a Realign Class at your church or organization, then simply fill out the form below and one of our team members will contact you. I'm Ready! Let's Go! I just need more information I'm looking at a few different options. Let's take it slow, this is very preliminary. Want to see what the class videos actually look like? Then take a tour at our CLASS LESSONS page where you can see snippets of each class. Still not sure if you are ready to lead a class? That's okay! We are here to help. Just fill out this form and one of our team members will be contacting you to help you through the process.